A classy way to show off your style is with a midi skirt. With a hemline falling just below the knee, a midi skirt is a conservative alternative to the mini skirt. Great for the office or an elegant dinner party, show off your classy style with a midi skirt. 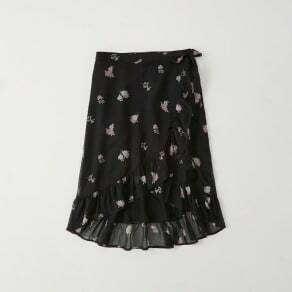 At Westfield, you’ll find a variety of midi skirts in all different style, colors, and designers. 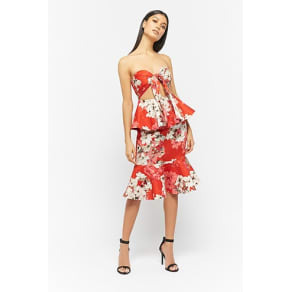 Pair a flowy, floral midi skirt with a bodysuit for a fun day at the races. Or combine your midi with a crisp white shirt and blazer for a professional look at the office. Tie a button-down shirt at the waist and add some sporty flats to transform your midi skirt into a contemporary casual weekend look. Midi skirts come in a variety of fresh prints and colors and styles. At Westfield, choose from our many midi skirts. From A-line cuts to pencil to pleated and tiered, you’re sure to find the right midi skirt to fit any occasion. Flash some calf this season and uplevel your style by adding a chic new midi skirt to your wardrobe!